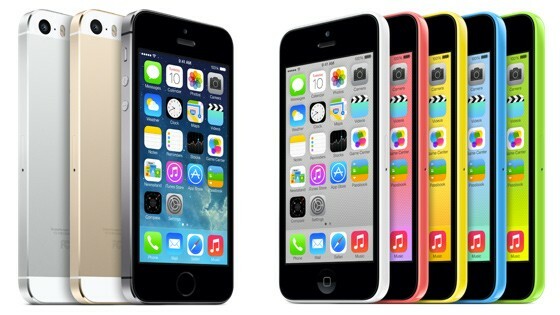 If you look at what we've done, we're selling the iPhone 4s as our entry offer. We sell the iPhone 5c as the mid-tier and the 5s. Our goal is to have growth across the iPhone but we want each of those categories to grow as compared to what we were doing previously. If you look at the total that we're making in the low end and mid tier and high end, the sum there, we'd like to grow in each one of those. We're really please [sic] that we did that. What we did with our lineup this time was the 4s is replacing the 4. If you look at the US as an example, the 4s is now free. The 4 was free previously. When you translate that out of the US, it depends on the market as to what specifically happens. Currency changes and the strength of the dollar doesn't always play in our favor in some goes. We see the 4s as our entry iPhone offer that gives somebody the ability to access the entire ecosystem as a fantastic product. We understand that there is elasticity in that market and it will move accordingly. Apple recorded impressive iPhone sales during the third quarter, and even though production of the iPhone 5c is said to have been decreased, the colorful smartphone was the second most-popular handset with two out of the United States' four major carriers in September. During the same conference call, Cook also made a number of further interesting points. In particular, he hinted that "new product categories" could come from Apple in the near future, and perhaps as soon as 2014. 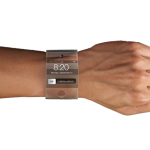 Of course, this could refer to Apple's anticipated iWatch, or its long-rumored 4K display-equipped Apple HDTV. 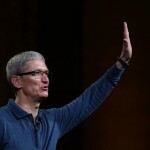 Following the unveiling of Apple's third quarter financial results, Cook also emailed his entire staff, thanking everyone for their contribution over the course of the last three months. See also: AppAdvice International: New iPads, iPhone Launch Dates, Steve Wozniak And More, Demand For The Second-Gen iPad mini Could Prove Too Much For Apple, Cook Warns, and Blur Studio Updated With Saturation Control, Flickr Photos And Other Features.